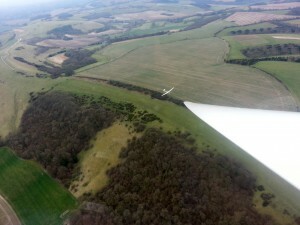 Home » Flying Reports » Saturday 4th April -Ridge day! 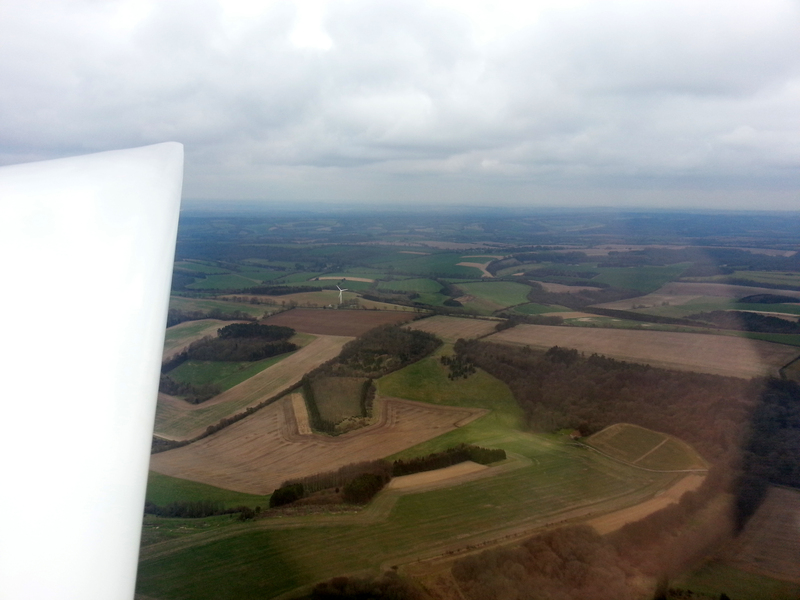 As Colin predicted Saturday indeed turned out to be a ridge day and many ridge flights were flown. With the good headwind launch heights were impressive, Richard Dann , test flying the K8 after its ARC, must have reached 1,000ft before he had even moved more than 500ft towards the winch. Not sure how high he eventually got to as “pole bender” Richard broke the weaklink! The strop falling a mere 50 yards away from Carol and I waiting to take off. As mentioned launch heights were quite good as the Janus reached 2,200ft on our first launch. The ridge was working reasonably well from about 1100ft down to 800ft and by adding some thermal activity to the mix extended flights we available. 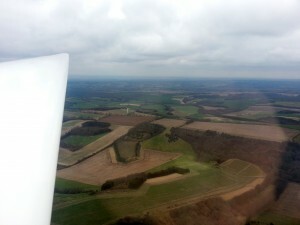 We managed to work the ridge way past the wind turbine but chickened out going to Highclere Castle as we got a bit low. Here is Steve Barber in the Vega. In the end Carol and I had about 2.5 hours on the ridge during our two flights………………brilliant!